Additional Security and Padding. 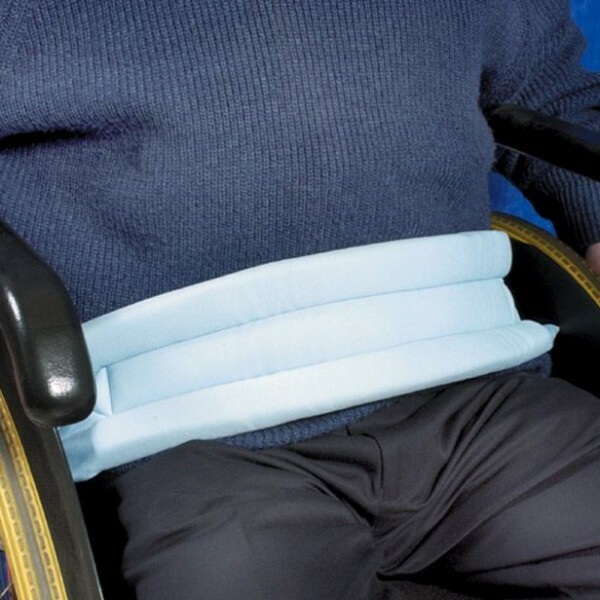 This belt criss-crosses in the back of the wheelchair and loops around the tilt levers, providing extra security. 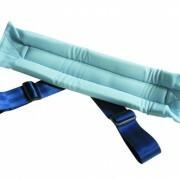 Consists of soft comfortable foam attached to a wide, heavy duty nylon strap. Measures 120 x 560mm (4 x 22″). Slide the buckles on the strap to adjust length. 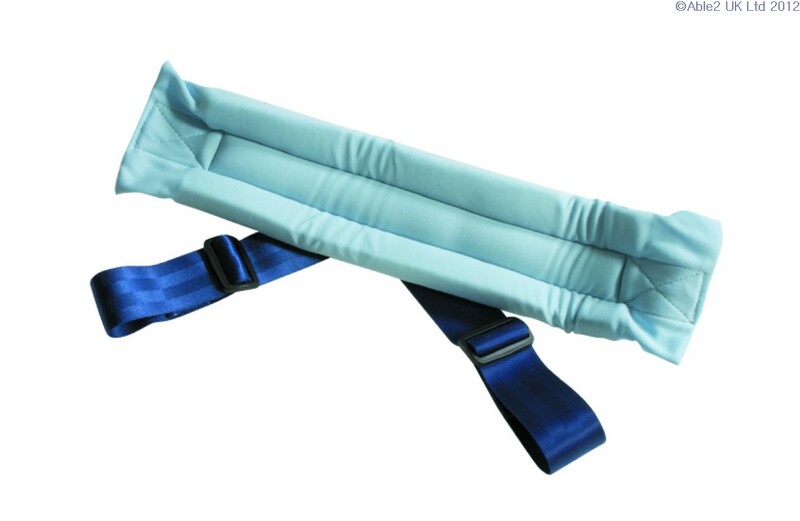 Straps measure 1020mm (40″) long. 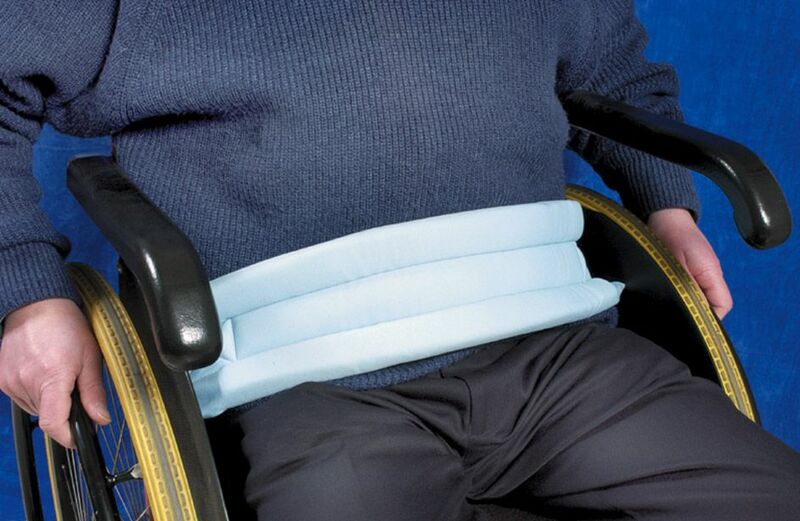 Fits comfortably around hips. Machine wash and dry. Light blue with dark blue trim.